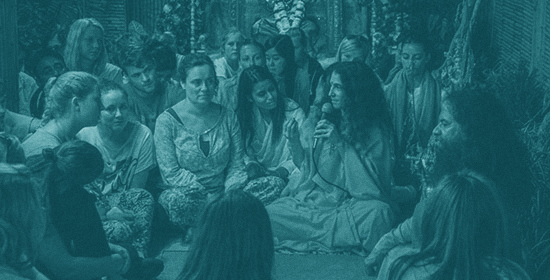 An integral part of Upliftment occurs many evenings during the year at Parmarth Niketan Ashram during Satsang led by Sadhvi Bhagawati Saraswatiji, the President of the Divine Shakti Foundation (DSF). 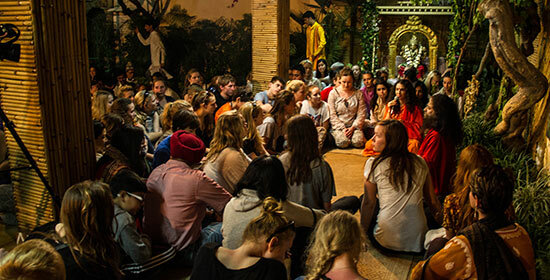 Satsang literally means in the presence of truth and Sadhviji’s straight forward, insightful and often humorous responses are one of the highlights for people who are either staying at Parmarth Niketan or just visiting for the day. She fields a variety of questions about what it means to be human. Usually it is within a religious or spiritual context but she is never preachy and is able to weave in her vast knowledge about Hinduism in a way that is appreciated by Hindu’s and non-Hindu’s, Indians and non-Indians alike. All of the satsangs are made available on our social media channels free and available for everyone. In addition, her satsangs are also broadcasted once a week on Om-Times radio channel and aired every evening on Sanskara TV Channel. Her clear and compassionate light and wisdom provides much hope and happiness to so many who experience this divine interaction with her and sets them on a path of deeper introspection, insight and inspiration, bringing a greater sense of peace and happiness in their life. TO SEE MORE OF THESE TRANSFORMING SESSIONS, CLICK HERE. 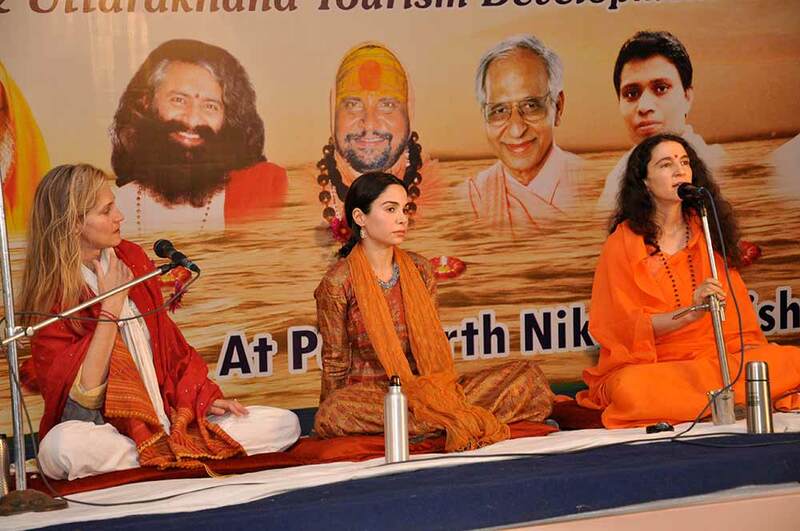 Additionally, Pujya Swamiji and Pujya Sadhviji travel around the world to various conferences, festivals, and summits dedicated to the upliftment of humanity, the promotion of peace, and empowerment of all. 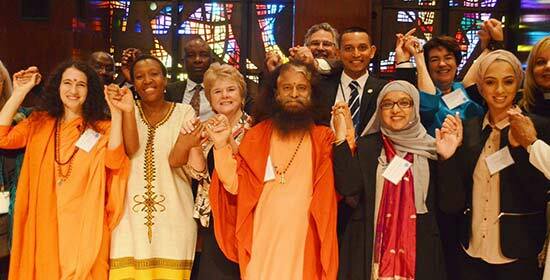 CLICK HERE TO VIEW PHOTOS FROM THESE UPLIFTING EVENTS.